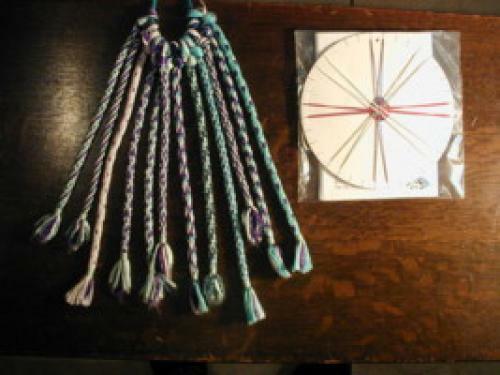 The kit includes a foam braiding disc threaded to make a child's bracelet & instruction leaflet giving 19 Kongo Gumi patterns along with suggestions for beading, hints and tips and taking it further. For more sophistication add a bracelet clasp. Could also be attached to scissors or suitcase for easy indentification.